Saipem has successfully completed sea trials of its new ROVs (Remotely Operated Vehicles), the Innovator 2.0®. 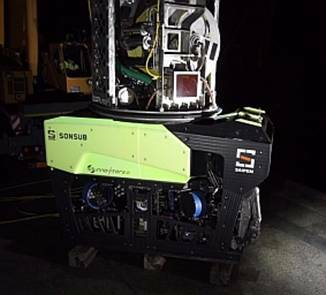 ROVs are of vital importance to Saipem’s subsea operations. The company uses its proprietary ROVs to construct and maintain oil fields, including in ultradeep waters, to monitor the seabed and to gather the data necessary for the design of oil fields or subsea pipelines. The new Heavy Work Class ROV, Innovator 2.0® , is the result of three years of design and testing. It is a benchmark of excellence in terms of subsea robotics, drawing on Saipem’s experience in the construction of underwater facilities, on constant collaborative projects with the best Italian and European research centres, and on the production of components by specialist Italian companies. In accordance with regulations for the classification of subsea technologies, the Innovator 2.0® has obtained a declaration of compliance with Norsok U102 standards, amongst the most stringent currently in force in the sector, as well as DNV-GL certification. While these certifications are not strictly necessary, they represent a plus compared to competitor ROVs available on the market, since neither the performances nor the characteristics of the latter are guaranteed by an external certification body. Since 1999, the year in which the first Innovator (version 1.0) was built by Saipem, the Company has been committed to the development of robots that can face the new technological challenges, and so doing has transformed Sonsub (an engineering division specialising in the development of remote subsea technologies) into a point of excellence in the sector. By consolidating its ROV fleet over the years, Saipem has become one of the few operators on the market capable of designing, building and operating its own subsea robots. Saipem has deployed these in almost all its subsea projects under extreme operating conditions, including very shallow and ultradeep water, and the most hostile seas with strong currents and very low levels of visibility. It will also use them in the future, especially given the tendency of the oil&gas market to promote increasingly challenging subsea projects to exploit oil and gas fields in remote areas.